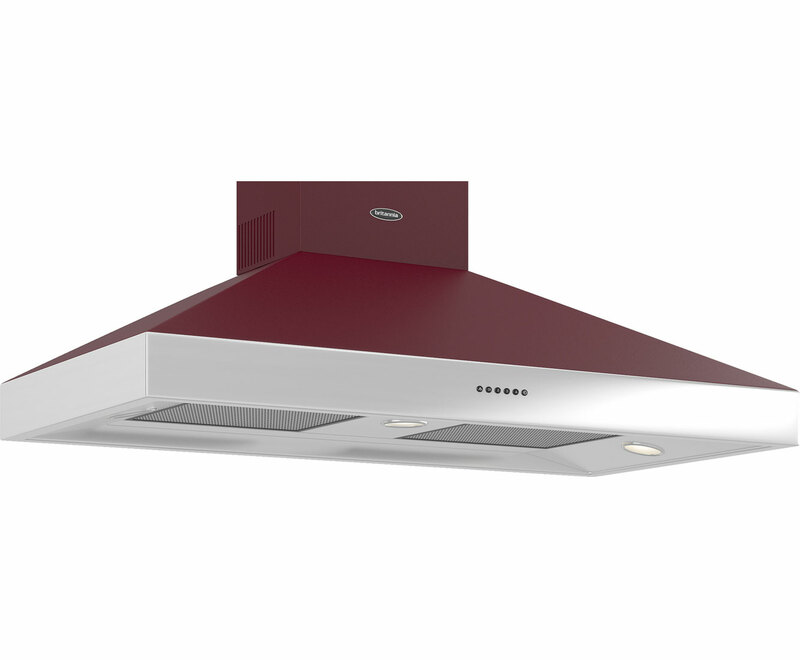 This bold burgundy cooker hood makes a bold design statement. It’s 110cm wide so will work well with a large range cooker or multi-zoned hob of a similar width. Style combines with simplicity as the touch button controls make it easy to select 4 variable venting speeds and to turn on the halogen lights. You can choose between recirculation and external venting with this product by adding carbon filters or a ducting kit. These are not included with the product but are available from the manufacturer.